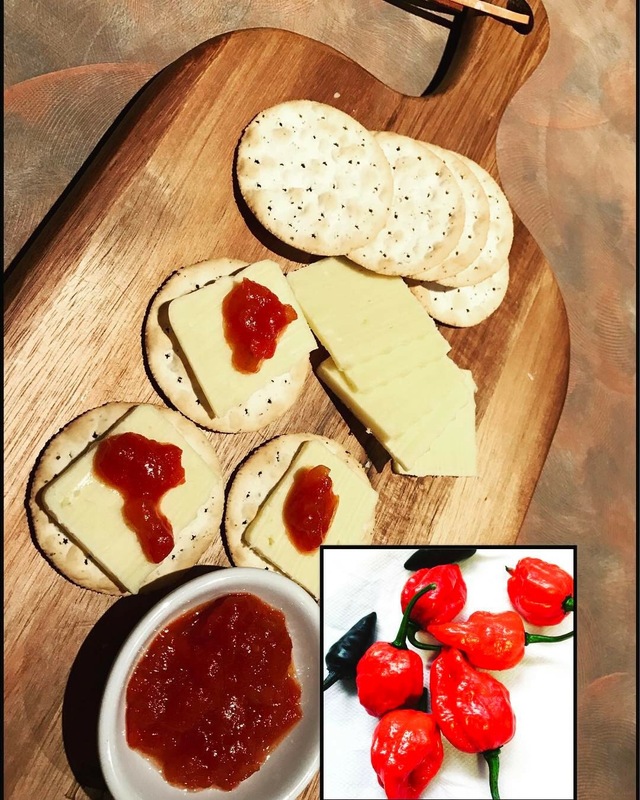 When presented with some Carolina Reaper Peppers I thought to myself “What to do…what to do…hmmmmm” I know I’ll make a Dip for Wine night! What could possibly go wrong? First let me tell you what I was dealing with! These tiny little peppers rated at 2,200,000 scoville units (hotness unit of measure). 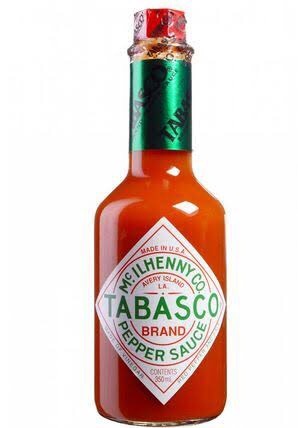 Is rated at 5,000 scoville units. Nothing could go wrong right. Ingredients I used. 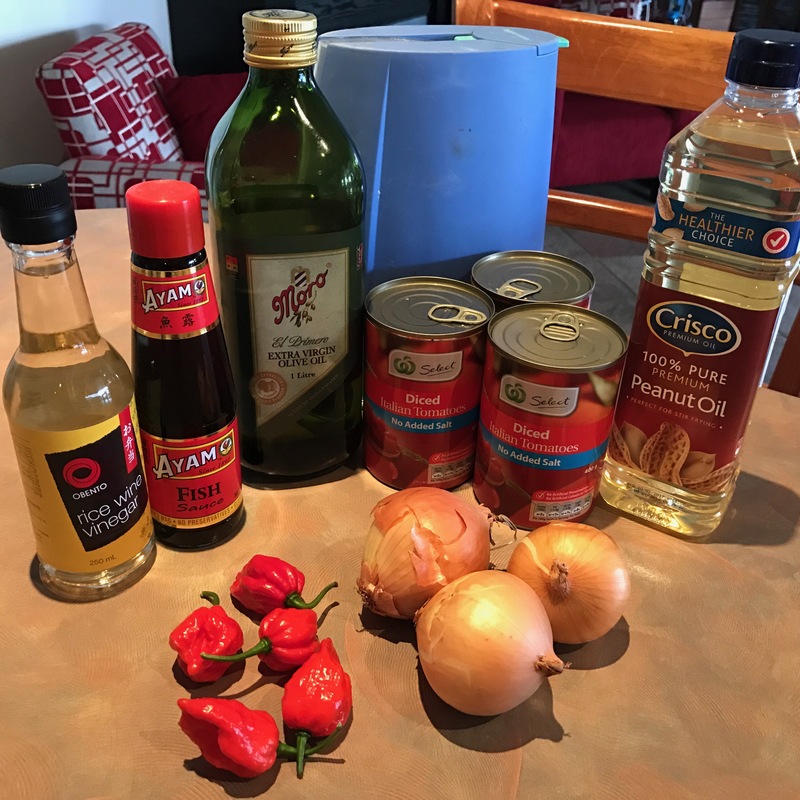 There is no recipe for the use of Carolina Reaper Peppers, the only advice I give is use no more than one pepper per approximately 500-700ml of finished Dip. Pick a jam, dip or sauce recipe that you like which normally uses a pepper and simply swap. With red wine, simply delicious. Now to what you have been waiting for. Use gloves whilst chopping up these peppers, disposable are fine, and a good idea. I didn’t use gloves but thoroughly washed my hands after cooking. After a few wines I went to the toilet, washed my hands like a good boy but couldn’t shake the increasing burning sensation. 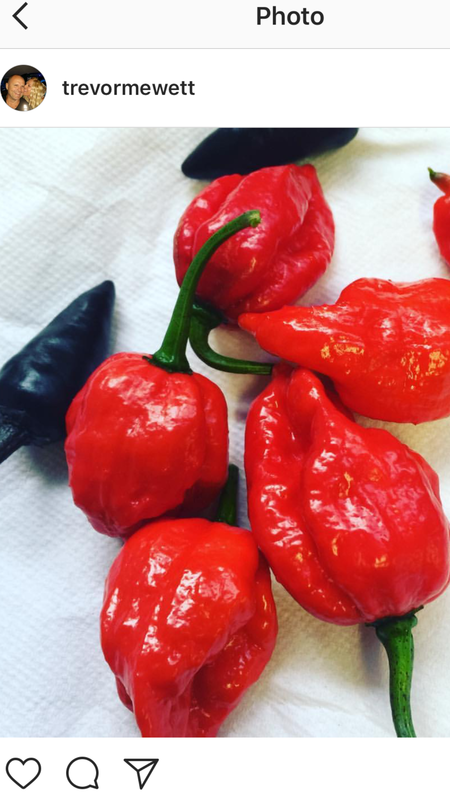 It was only then that I realised that I had transferred 2.2 million scoville units to…. well….me. I slept very uncomfortably with a cold towel that night, and bought disposable gloves the next day.